Video Filmed, Edited and Directed By Christian J Petersen. Christian is a video maker, photographer and graphic designer based in Seattle, Washington, USA. 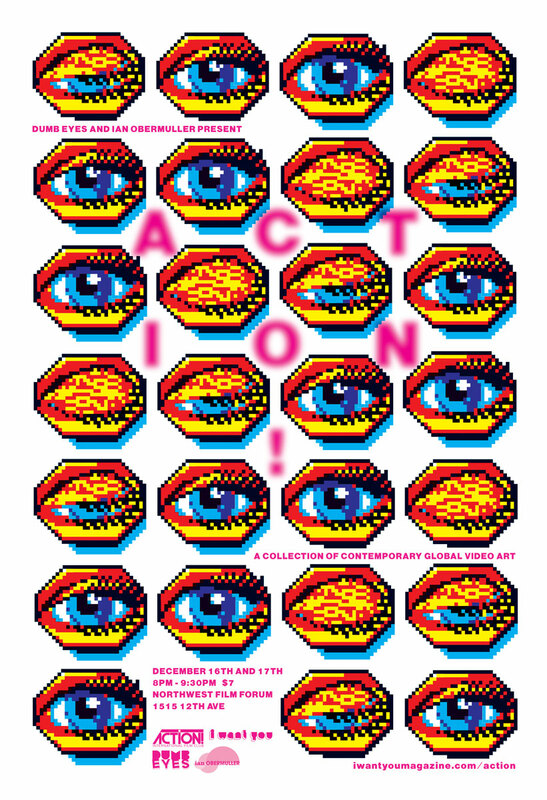 Dumb Eyes & Ian Obermuller Present: ACTION! The Seattle big screen PREMIERE of the video for Fleet Foxes’ The Shrine / An Argument by Stacey Rozich,Sean Pecknold and Britta Johnson. New music videos from Christian Petersen of DUMB EYES. The Trilogy Tapes (Will Bankhead) is based in London, England. Nicolas is an artist based between Vancouver (Canada) and Biarritz (France). davidope (David Szakaly) is a Hungarian/German graphic designer, living with his dachshund in a suburb of Budapest. “This video is about movement. Movement of your body. Movement of your arms, hips and legs. Movement of your head and whatever lies within. Movement of those beliefs you once considered true and now suddenly aren’t. Movement of those collective behaviors that once defined cultures and countries and suddenly don’t. Movement of thoughts. Movement of ideas. And as movement opens up your senses, in comes change. THBP Vol. 2 is the story of how your life changes as your mind and body move differently. You’re afraid of breaking the cycle but also know it’d be unbearable to stay put. So you change your dance, you change whatever they taught you was the right way. And you discover they were wrong, and you dance your own way and try to move on. Text by Nicolás Díaz Durana.